- Publisher From the groundbreaker in preventive medicine and father of the worldwide aerobics movement, Dr. Cooper takes the latest scientific antioxidant search from around the world and brings you a simple four step life plan that will revolutionize your health. It's the simplest plan yet to build you own personal defense system for a longer, healthier life! 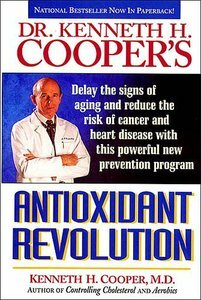 From the groundbreaker in preventive medicine and father of the worldwide aerobics movement, Dr. Cooper takes the latest scientific antioxidant search from around the world and brings you a simple four step life plan that will revolutionize your health. It's the simplest plan yet to build you own personal defense system for a longer, healthier life!